With so much going on in the hospitality industry, it's important to keep up to date with trends, new products and changing-technologies. Keeping up with the latest news, top tips and product launches is a sure-fire way to stay in the know. 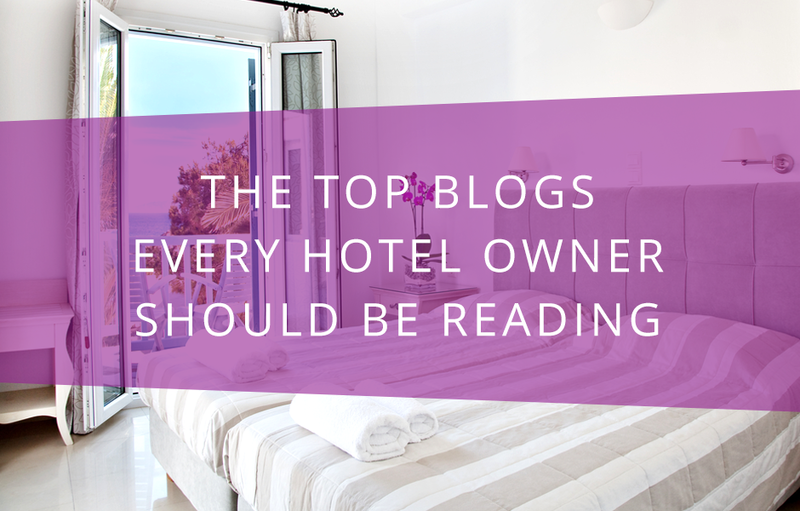 So whether it's regarding legislation, health and safety or the latest hotel supplies; we've put together a list of the top 7 hotelier blogs you won't want to miss out on! E Hotelier provides information and support to hoteliers on a global level. Here you'll find everything from the latest hotel technology releases to hints and tips from experienced professionals to help your business grow. This blog consists of help and support on growing your business in the hospitality industry. Here, you'll also be able to access information on latest travel trends so ensure you're one step ahead of your competitors in terms of what the public want! As well as being a fantastic information hub for all involved in, or interested in the hospitality and travel industry, Big Hospitality also has a range of guest-posters who regularly give advice on everything from business development to travel trends. If you already own, or you're thinking about opening a boutique style hotel, this one is definitely one you should be following. Boutique Hotelier offers advice, trends and analysis on everything to do with boutique hotels. AUK based blog-style website, Luxury Hospitality Magazine has everything you need to know from new launches, competition and industry trends. There are also a number of guest-bloggers who provide helpful tips to all in the industry on everything from getting started, marketing and business development. Hotel Owner brings you the very latest in hotel news from the UK and the rest of the world. On this site you'll also find new openings and appointments along with features on some of the most successful hotels and hoteliers from around the globe. As well as being a source for the best in hotel supplies, Hotel Complimentary Products provides a blog with helpful hints, tips and advice on anything from setting up your very first B&B to building and maintaining a relationship with your guests. If you're looking for the best hotel toiletries or you simply want to have read of some handy how-to guides, Hotel Complimentary Products has it all!